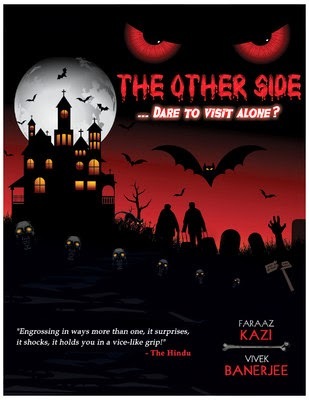 The Other Side is a collection of thirteen tales of the paranormal; a world that our eyes refuse to see, our ears deny hearing and our senses ignore the feel of. 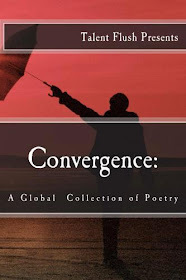 This is a book for someone who is brave enough to take up this invitation to journey through uncharted waters along with the authors, who were inspired by some bizarre experiences to pen down this work where the lines of reality have been blurred by the footsteps of imagination. The recipient of the YCOF National Excellence Award and the winner of the National Debut Youth Fiction Award 2013, Faraaz Kazi is also called as ‘The Nicholas Sparks of India.’ Kazi is rated amongst the top romance writers in the country. A certified soft-skills trainer and a three-time post grad, Kazi operates his own academy in Mumbai and is the Founder and CEO of DigiImprint Solutions, a social media agency for personal and corporate brands. He also consults for a few public relations firms and publishing houses. He is fondly referred to as ‘The Young Marketer’ and operates a revolutionary blog with the same name and writes for major media houses. Kazi is a fellow member of the esteemed ‘Film Writers Association of India’. 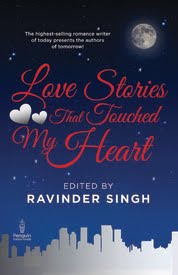 ‘Truly Madly Deeply’, his debut mainstream romance novel is the only Indian book to be nominated in seven categories of the Good reads annual readers’ choice awards, apart from being the first Indian novel to win the ‘Best Debut (Romance)’ during the same awards and is also the only Indian book in the ‘Top 100 YA Global Fiction’ list. He is a voracious reader and counts singing as his second love. 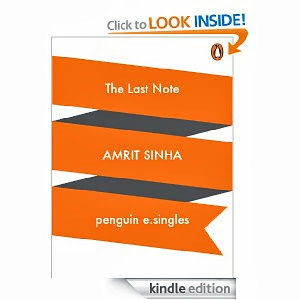 He is one of the most highly followed figures on social platforms from the literary world. He can be reached at contact@faraazkazi.com. To know more about him do log onto www.faraazkazi.com. Of course, he does ‘face’ books and ‘tweets’ when he is not speaking. You can mail him at drvbanerjee@gmail.com. Here is a suggestion – don’t skip any part of this book, and by that I mean you got to read the ‘Dedicated To’, Foreword, ‘Table of Contents’, Prelude, and Epilogue sections, along with the thirteen stories of course, ‘cause each of the above serves to heighten the chilling sensation that you can associate this book, 'The Other Side', with. Not a single page should be left unread. Talking of page, why not begin with the cover? And God, you need to look at it to believe me, this cover radiates brilliance. Absolutely adhering to the theme of paranormal and horror, the cover will really set your mood for the day night, depicting those eyes in red that ask in a sinister manner, “Dare To Visit Alone?” and you can hear a strange guffaw, mystical and haunting, somewhere in the background. Oh stop it, ‘tis all in the head? Or is it? The Foreword is nicely sketched, and provides a clean insight into what this book is all about. The words are coherent and clear, and you know what the two talented authors are up to. There is no denying the fact that a lot of time and effort have been spent to produce the thirteen stories that form this book, and add to it a brilliant Foreword, you know, this night is surely gonna run long. But wait, the stories don’t start yet. Right after the Foreword, we have the Prelude, where the two characters are our very own, Faraaz Kazi and Vivek Banerjee, discussing horror experiences, and finally settle down on a mutual agreement of penning down stories together, and am glad they did. Having read them before, I had high expectations from them, and true to my belief, they didn't disappoint. The positives are many, and that’s always a good thing for the readers, isn't it? The horror genre isn't an easy one to write, as the genre itself depends on sound and sight to evoke the feel, while an author’s job is cut out in this respect as he doesn't have the luxury of either. However, full marks to Vivek and Faraaz for not letting this to be a hindrance. Most of the stories are well suited to the theme, and the unique plots for all ensure that your interest is kept alive right throughout the book. The book takes on a rollicking start with ‘That Fateful Night’ as the first story. It’s satisfying and makes me crave for more. Does ‘The Long Weekend’ satiate my thirst? Nay, instead it augments it, and I am now comfortably snuggled in my blanket, starting to read the third one. But wait, who was that standing behind the door? No one. Don’t worry. Ghosts are not real. I turn to the third tale. ‘The Man Who Did Not Fear’ is a story where the protagonist attempts to dare a haunt, and haven’t we all tried that in some point of our lives, accepting the challenges from our friends to pay a visit and spend time in a scary circumstance? Well, I have, and I could relate perfectly with this story. However, the fourth story, ‘Strangers In The Night’ turns out to be a dampener for me. I didn't like how it ended, and was expecting something better out of it. Never mind. I turned towards the fifth story when a sudden gust of cold wind made me turn towards the window. Heck, it was closed. Where did the breeze come from? Was my heart thumping? Come on, this is the twenty-first century, don’t think crazily, I convinced myself, and started reading ‘The Muse Comes Calling.’ This is another story that I didn't like much. I mean the narration is swift, the plot unique, but again, I didn't like the way it concluded. Could there have been a better ending? May be yes, may be no. Perhaps, I felt it too unrealistic to be true, but then again, that’s the way I thought. You, and others, though, might enjoy this story to the fullest, depending on how you perceive and expect events to happen. But yes, ‘The Muse Comes Calling’ has one of the best plots I have EVER come across. My only complaint – the ending. ‘The Lady In The Pub’, and wow, what can I say. I loved it as most of the other stories before, and as the rest that will follow. It’s a sweet tale of losing one’s love, and how it haunts forever. Talking of love, what can be more precious than ‘A Mother’s Love’, and the two authors beautifully highlight that fact with a pinch of emotion in this otherwise paranormal story. ‘Red Bangles’ is scary, but of course, that’s what this book is meant to be, but by scary I mean SCARY. The narration highlighting the villainous intent of the protagonist is polished, and you can read his mind and loathe him for his actions, but the image of the red bangles never leave you. Wait, did I hear the tinkling of bangles? Man, now this is turning out to be eerie. I got up from my bed, and turned on the lights of the other rooms as well. ‘Let there be light’ – I thought, and philosophized, and came back under my blanket. ‘Unfulfilled Desires’ as the name suggests, revolve around, well, unfulfilled desires, about love and happiness, replaced with hatred and betrayal. This story is located across several towns and cities, and the beautiful description of the locales makes you believe that you are travelling too with the protagonist. ‘Dreamgirl’ the 13th story, is as chilling as the supposedly doomed number itself. This is a perfect conclusion to the collection, and certain parts in the narration will certainly make you shiver, as I am shivering now. I woke up with a start. When did I fall asleep? I know not. When did I pen down the review? No idea. All I could remember was, what? My mind suddenly seemed numb, and as I looked around, I found ‘The Other Side’ staring creepily at me, those red eyes, oops, did they blink? I felt so. And then it all came back. I was so engrossed in reading and writing the review last night that I had lost track of the time, and soon after I was done with the book, my mind programmed me to sleep. The sun had risen across the cool winter morning, and I made myself a cup of tea. Now, coming to the part I didn't like. Several stories in the book have the element of physical intimacy, which is fine, as that’s what the plots demanded. However, I felt that those could have been written in a manner that would be more subtle and aesthetic, targeting not the actual happenings and details of the sexual encounters in a physical manner, but rather, should have focused on the sensory perception, making the entire story all the more fascinating and literary satisfying. This is something I will definitely expect from both the authors in the near future. The Lady In the Pub. And definitely the book is brilliant! Thanks for reading and reviewing the book. We are always pleased to hear some praise but criticism is more important. Will certainly take note of your suggestions.